“The Hillary Step trekking package dedicated to Mountain pioneer Sir Edmund Hillary and his team. The traditional route used by Sir Edmund Hillary and Tenzing Norgay Sherpa along with the team to climb massive Mt. Everest, starting from Jiri town”. Hillary Step trekking, the named after Sir Edmund Hillary who was the first Mt. Everest, the highest mountain peaks summiteer along with Tenzing Norgay Sherpa in the world. He is one and only legendary of tourism industries and all Mountaineer lover are inspired by his life. After both of them, every year a Trekker, climber, and Mountaineer start to travel Mt. Everest through Hillary Step. The Hillary Step Trekking's route is very popular which was the first trail of Everest region to reach the Everest base camp and its surrounding area. It is the proper blend of natural vistas and comfortable itinerary which is much more suitable for those trekkers who have the strong will power to succeed the success. All trekkers with well fitness body can dream this Hillary Step Trekking is lengthy provides magnificent sceneries of high mountains which are memorized by the world. Hillary Step trekking can easily pull the concentration of travelers. Hillary Step Trekking offers local pristine traditional culture, typical village, vegetation, wildlife and landscape through Mt. Everest, Thamserku, Nuptse, Lhotse and Ama Dablam throughout the trip. During the Hillary Step Trekking, all travelers want to love exploring a beautiful Jiri village then additional hiking in Bhandar, Ringmu, Shivalaya, and Mali. Khumbu Glacier with Changri Shar and Nup Glacier are a major attraction of Hillary Step Trekking. Most of the trekkers are a lure to observe the sunset and sunrise from the highest point Kalapathar are also the best viewpoints of the Everest Himalayan range. For those trekkers who have turned up from city areas, they will be fortunate to trace the traditional way of framing. As trekkers are heading towards Khumbu region it is obvious to have an interaction with the Sherpa and Buddhist belief. We start the journey from Kathmandu through Jiri, after trek back to Kathmandu from Lukla by flight. Hillary Step trekking is all about sightseeing as well as hiking. We Nepal Glacier Treks and Expedition has planned Hillary Step Trekking for 18 days so that trekkers can view all the major things through this trip. The trekking grade is moderate which covers 5,545 meters as a maximum elevation, it is an interesting trekking package belong to the Everest region. The autumn and spring season is quite perfect time for Hillary Step Trekking, an expert guide have been leading this trek. We operate teahouse trek with affordable price and quality service in the mountain. Hillary Step trekking itinerary comes with the fixed departure date. It is a customized trip, if not really satisfied you can make on your itinerary. You just drop a mail to us, we help you to make a new itinerary. This is a truly mystical journey of Himalaya where will you get all unbillable nature beauties in one place. Come to join us, make your holiday lifetime experience through Hillary Step Trekking. All airport/Hotel transfer as per the itinerary. Three-star hotel accommodation in Kathmandu with Bed and Breakfast. Kathmandu to Jiri bus fare. Lukla to Kathmandu flight tickets. All Meals (Breakfast, Lunch, and Dinner) and boils water in the mountain. Necessary staff with experience English Speaking guide, assistant Climber, Necessary porters. Staff salary, insurance, equipment, flight, lodging, and food. Trekking permit and TIMS (Trekking Information Management Systems) card. Tips for Guides, porters, and driver. Day 01Arrival at Tribhuvan International Airport, KathmanduOn the first day of the itinerary, you will land at Tribhuvan International Airport, Kathmandu. At the airport, you will be received by the representative staff from Nepal Glaciers Treks and Expedition. From the airport, you will be transferred to the Hotel and after taking rest at evening, we call a small brief meeting in the hotel where will discuss the trip, introduce with the leader (guide), and then Stay overnight in Hotel. Day 02Drive to Jiri (1,88km) 8 hours by public busSpending a night at Kathmandu valley on this day you will take a drive to Jiri by public bus which takes 188 km. it takes 7 to 8 hours of time frame. Somewhere little bit bumpy road but full day scenery drive alongside Sun Koshi River Valley to Jiri bazaar is inhabitant by local Newari people. Our first night in Jiri bazaar at the guesthouse. Day 03Trek to Bhandar (2,250m) 5- 6 hoursOn the following day, you will begin the trek to Bhandar which is positioned at 2,250 meters. You will be passing through several villages, observe the Sivalaya. After getting Shivalaya, you will make a new hike to Sangbadanda, Kosaribas, Bhanjyang, and then a pass at Bhandar. 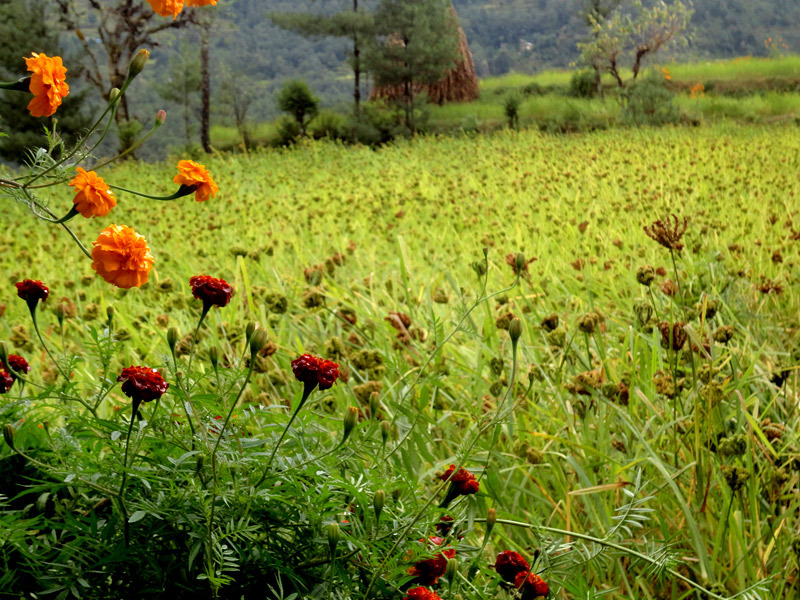 You can get a chance to visit Thudung which is located between Sangbadanda and Bhandar. Stay overnight at a guesthouse in Bhandar. Day 04Trek to Sete (2,650m) 6- 7 hoursFrom Bhandar you will move to Sete whose altitude is 2,650 meter. The total duration of the trek is 6 to 7 hours. Before that, you have to take many upward and downward with small settlements. From the Chimbu you will be taking gradual downward and after taking some walk you will arrive at Sete. Stay overnight at a guesthouse in Sete. Day 05Trek to Junbesi (2,670m) 6- 7 hoursAfter enjoying the night at Sete Deorali today you will head towards Junbesi which is positioned at 2,670 meters. Today you might some trouble as you have to pass the Lanjura La Pass (3,530m). On the way to it, you will notice Mani Walls. Passing from Lamjura and Taktor will take you to Junbesi after walking for 6 to 7 hours. Stay overnight at guesthouse. Day 06Trek to Nunthala (2,450m) 5- 6 hoursOn the following day, you will move to Nuntala from Junbesi. 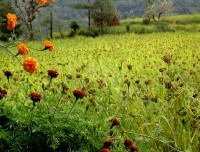 So you have to take down from Junbesi and most of all you will trek all through terraced fields, rhododendron forests. Then, at last, you will reach at Nuntala which is to be found at 2,220 meters taking 5-6 hours of extensive trek. Stay overnight at guesthouse. Day 07Trek to Kharikhola (2,030m) 5 hoursToday after breakfast in the morning we continue descending towards the Dudh Koshi River, then again ascends through the numerous beautiful Sherpa village, rice fields and lush green forests reach Khari Khola. Overnight at guesthouse in Khari Khola. Day 08Trek to Puiyan (2,710m) 6 hoursOn the next day, you will set to trek another destination called Puiyan, situated at 2,710 meters taking 5 to 6 hours. Before that, you will pass Kanre River and a wooden bridge over Piya River on the way to Puiyan. Then, taking ascend you will enter into Puiyan. Stay overnight at the guesthouse in Puiyan. Day 09Trek to Phakding (2,652m) 4- 5 hoursThen on the next day, you will begin the trek to Phakding which is situated at an elevation of 2,652 meters. On the way to Phakding, you will image Kusum Kangaru (6,367m) and Mt Nupla (5,885m). Stay overnight in a guesthouse. Day 10Trek to Namche Bazaar (3,442m) 6 hoursFrom Phakding you will head towards Namche Bazaar which is situated at an altitude of 3,442 meters. 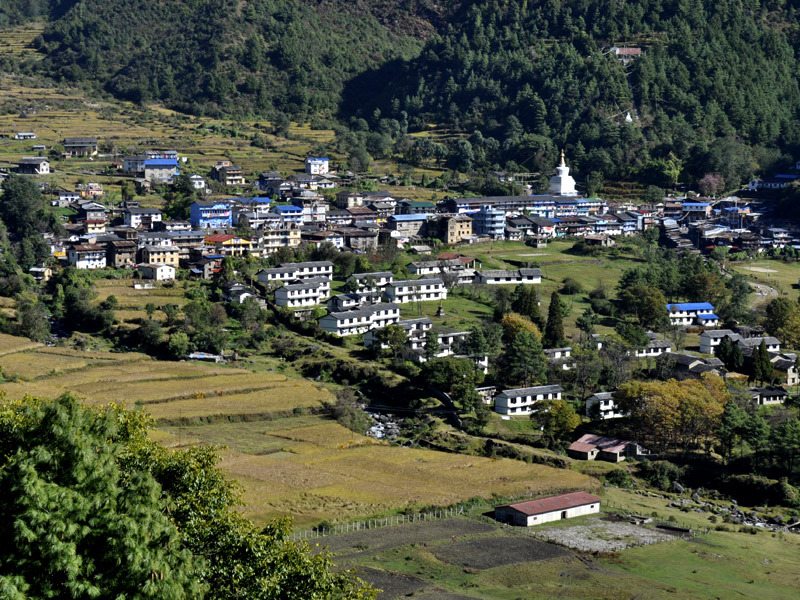 Here, you will stroll roughly into the Sherpa villages viewing breathtaking forests, Rhododendron and Magnolias. 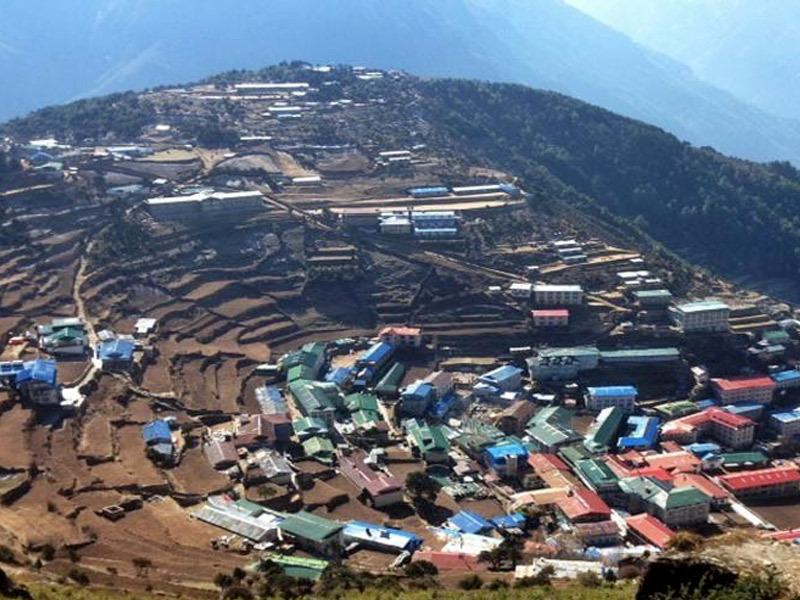 After an upright build up you will move toward the dazzling village of Namche Bazaar (3,440m). There you will be offered a stunning and tranquil place to use up the stride. Stay overnight stay in a guesthouse. Day 11Acclimatization day in Namche Bazaar Acclimatization is noteworthy prior to carry on the better elevation. It is then recommended to take a short day's hike to Thame, Khunde, Khumjung up to the Everest View Hotel Everest supervises close to a vista of Mount Everest. You can still take part and review the culture of Sherpa in Namche. Stay overnight in a guesthouse. Day 12Trek to Tengboche (3,867 m) 5- 6 hours Tengboche is to be found at 3,870m, enclosed by an obvious dwarf fires and Rhododendrons. Kwongde (6,187m) Tawache (6,542 m) Everest (8,848m) Nuptse (7,855m) Lhotse (8,618m) and Amadablam (6856m) with an exhilarating enormous Himalayan will be waiting for you. 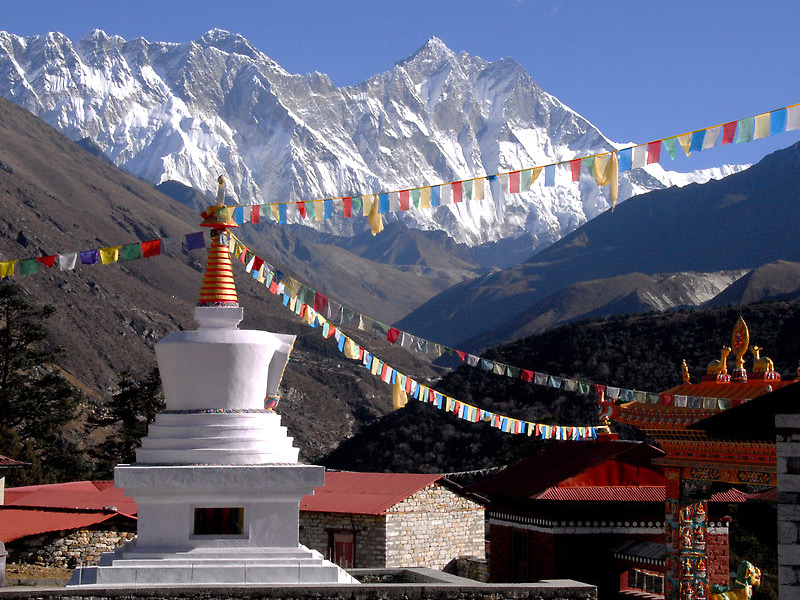 You will be visiting Tengboche Buddhist Monastery, the major and largest monastery in the Khumbu region. Stay overnight in a guesthouse. Day 13Trek to Dingboche (4,360) 5-6 hoursOn the following day, you will set out for Dingboche (4,360m). Turning at Dingboche, you will like the striking compilation of meadow surrounded by stone walls planned to guard Barley, Buckwheat, and Potatoes. Island Peak is an additional beautiful view traced from Dingboche. Stay overnight in a guesthouse. Day 14Trek to Lobuche (4,940m) 5 hoursOn the following day, you will continue the trek all through the Alpine region. On the way to Lobuche (4,940m), you will pass the river which is enclosed with ice-covered in Thukla glacier and scale up the hill. The total duration of the trek is 5 hours. Stay overnight in a guesthouse. Day 15Trek to Gorak Shep (5,170m), Everest Base Camp (5,364m) back to Gorakshep 6- 7 hoursThis is an important day as you will begin the trek from Lobuche, following the slim space stuck among the moraine of the glacier and the wall. After that, you will cross the tributary of mountain glaciers or lake bed identified as Gorak Shep. Spending some time at Gorekshep situated at an elevation of 5,170 meters, you will continue the walk to the Everest Base Camp (5,364m). Enjoying the moment at Everest Base Camp you will be returning to Gorakshep. Stay overnight in a guesthouse. Day 16Trek to Pheriche (4,280m) via Kala Patthar (5,545m) 7- 8 hoursTo ascend the Kala Patthar (5,545m) you will set out early in the morning. It is the chief emphasize of the trek. You will be pleased viewing 360 degrees remarkable sight of Mount Everest and close to mountains. Coming back to Gorak Shep, you will take your breakfast and then will go after steady descent to Pheriche. Stay overnight in a guesthouse. Day 17Trek to Namche Bazaar 6- 7 hoursOn this day you will wake up early in the morning as you have to cover Namche Bazaar to Tengboche through Pangboche. Through these destinations, you will be able to trace the history and culture of Sherpa people the way they behave and how they are attached to their culture and many more things. Stay overnight at guesthouse. Day 18Back to Lukla (2,850m) 6- 7 hoursOn the following day, you will commence trek to Lukla (2,850m) after having breakfast. 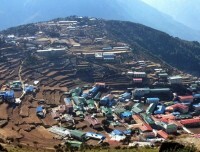 The type of weather of Lukla cannot be forecast so usually trekking companies used to put an additional day for Lukla. As you are moving out in a suitable season you might be fortunate to move out for the trek as per the set itineraries. Stay overnight at hotel. Day 19Flight to Kathmandu (30 minutes) From Lukla, you will take a flight t Kathmandu consuming an hour of flight. Then, you will arrive at Tribhuvan International Airport, Kathmandu from where you will be transferred to the Hotel. You might be tired so on this day you will take rest in the Hotel and Stay overnight in hotel. Day 20Departure!!! !On this day you will be transferred to Tribhuvan International Airport so that you can return your hometown or move to next destinations. Our team representative will take you to the airport with great respect and safely. Have a safe journey. Dear visitors ensure that before leaving home and traveling to the mountain, your travel insurance is compulsory, 4 passport size photos, 6 months valid passport, your flight tickets to/ from Nepal and extra change cash to the Kathmandu airport, throughout the trip for extra drinks and snacks. We hearty request you, please book your Hillary Step Trekking as early as possible because we want sufficient guidance time on your trip. If you booked early at the time, we can arrange the best hotel in Kathmandu, other places and Everest for your outing. The late book, very hard to find the best hotel around Kathmandu and Everest location in the season. the maximum vital things, in case you want any unique offerings which are not stated our bundle, make certain that you have informed us what you need more offerings at the time of Hillary Step excursion booking. That is a custom designed tour, if you are not glad about this itinerary, you can make personal and drop your itinerary by email to us. If you want to book another right one tour package which isn't indexed on our website, please informed that and we can design it for you. Sometimes a trip can be canceled due to the special unexpected causes including natural screw-ups, moves, and some other problem. However we are able to set up opportunity tour itinerary which is asking your hobby and communicating, in another case, we must reserve the trip for next season or may additionally preserve some month later. Eventually, on this occasion the flight Lukla to Kathmandu may additionally cancel because of the motive of weather circumstance, technical hassle, flight put off and other issues. You don't worry, we will clear up the problem, and you’ll reach your destination however it is able to take several instances. All depend will manage on the right time with the aid of our trek leader in the mountain. That is a little information and wish you understand what we provide. Desire you may revel in the Hillary Step Trekking.